From the moment Saoirse Ronan throws herself out of a speeding car in pure frustration at talking to her mother, you just know that Greta Gerwig’s feature directing debut is going to be something special. (Don’t worry – that bit’s in the trailer.) 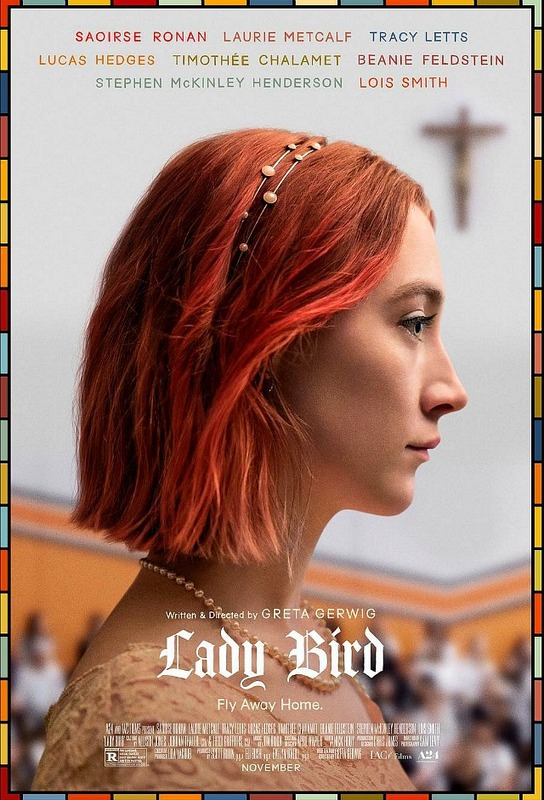 A never better Ronan is Christine, although she has given herself the name “Lady Bird,” part of her attempt to escape what she sees as the stultifying life she is forced to live in Sacremento. As high school rushes toward its climax, with all the real-world uncertainty that brings, she is desperate to move away from all she knows into the altogether much more intellectually satisfying environs of the east coast Ivy League, schools that everyone is only too quick to assure here she will never get into. Top of that particular cheer leading squad is her mother, brilliantly played by Laurie Metcalfe, with a deadpan world-weariness and pragmatism that is straight up hilarious, moving in a hair's breath into prickly, beaten, sad and deeply moving. The interplay between these two actresses is the backbone of Gerwig’s extremely adroit comedy, one that is as warm and moving as it is laugh out loud funny. This is an end of high school comedy, much in the same manner as Cameron Crowe’s Say Anything was, and captures the uncertainty of such times and the intrusion of life itself in beautiful detail. Semi-autobiographical to a point, we already knew how good a writer Gerwig was from her various collaborations with Noah Baumbach. Here she establishes herself as a directorial force to be reckoned with, drawing top level performances from all her cast, and creating moments that flow as a complete and satisfying whole, rather than merely strung together incidental vignettes. Her film has a passion to it that is perfectly reflected in Ronan and her wonderful central performance. Go on - give it the Best Picture Oscar. You know it's the right thing to do.